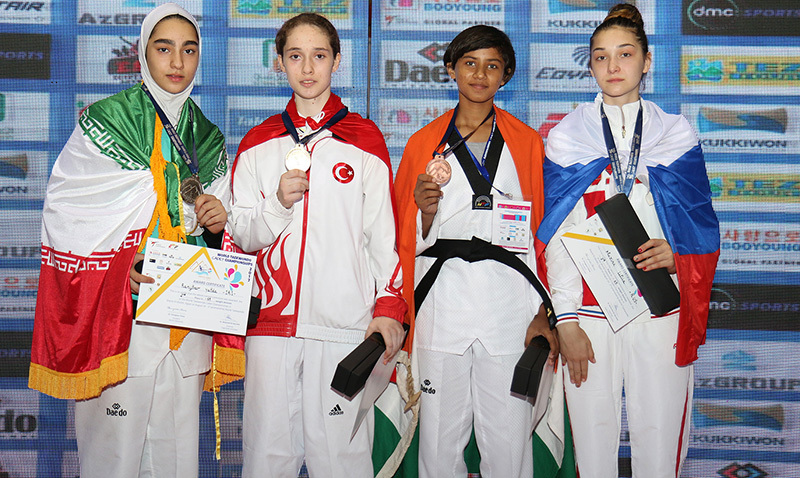 Egypt - 2017/08/26 - Turkey won its first gold medal on day three of the 2017 World Taekwondo Cadet Championships as Huriye Nur Ergin claimed a 15-4 victory over her Iranian opponent, Yalda Ranjbar, in the under 59kg category. Ergin landed two spinning head kicks and only conceded one head kick in return as her athletic performance impressed crowds at the Youth and Sports Olympic Hall. After coming through some close contests at the start of the day, Ergin’s confidence grew and she began to take charge of each match. In the final, her dominant showing was commended by spectators and officials, and she will now look to build on this victory in future events. Hosts Egypt had to settle for silver in the men’s under 45kg classification as Adham Hussin was beaten 25-5 by Amirarsalan Khanzadeh of Iran. Elsewhere, Abilkhassan Bakhytzhan secured Kazakhstan’s first gold of the event with a dominant 17-2 win against Russian Shamil Magomedov. There were also maiden victories for the Philippines and Spain, who both won their first gold medals of this year’s championships. Under 44kg champion Mary Angeline Alcantara survived a close semi-final before going on to beat Oksana Smirnova of Russia 18-4, while Spain’s Cheyenne Brito Rico came out on top in the under 55kg classification after a tightly contested 9-4 victory over America Comonfort from Mexico. With still one day left to go in the championships, 11 different nations have already won gold and there is plenty more action to come before the tournament’s conclusion. Currently, both Iran and Thailand have three gold medals, and it remains to be seen who will finish top of the medal tally tomorrow. Throughout the event, World Taekwondo has promoted respect and peacebuilding, and this has been reflected in both athletes and coaches, as well as the spectators who have helped to provide a fantastic atmosphere. 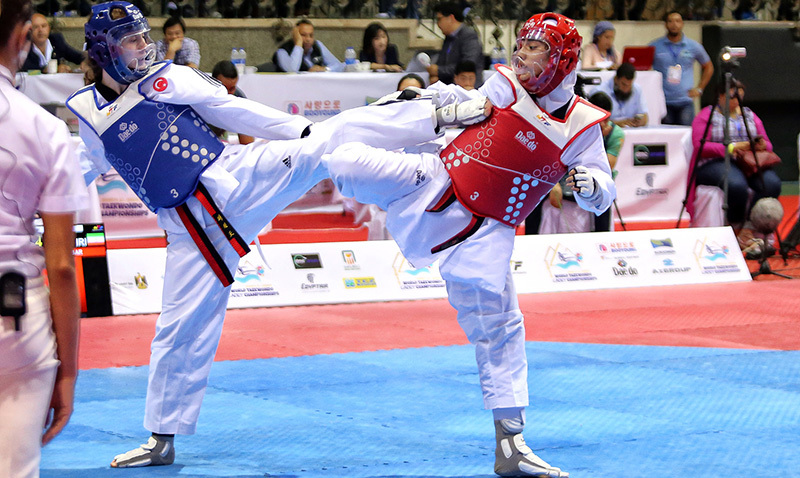 The 2017 World Taekwondo Cadet Championships began on August 24 and conclude on August 27.